After that dreamy moment the sparkly ring is placed on your finger, the bride’s thoughts begin to turn to the guest list. What may surprise many brides is just how challenging it is to complete this task with your sweetie. You know you want to invite friends and family…but who exactly should or should not be invited? And what happens if you and your fiancé don’t completely agree on the topic of the guest list? 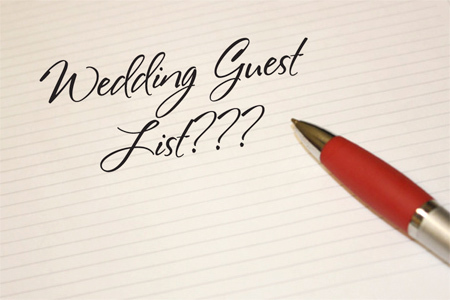 Fear not dear brides, you can actually create a guest list without (too many) tears! It is far easier for every couple to create a realistic guest list when you begin by looking at your budget. The budget will determine how large a reception and what type of wedding you can create. Some couples choose to have a less grand wedding so they can invite more guests. Other couples with a smaller guest list – or who are willing to make more cuts – decide to have a more lavish wedding. There is no “perfect” choice we can recommend because every couple is different. A good rule of thumb: consider the “three year” mark. For most guests that are put on your list, if you haven’t seen them within three years, then they probably shouldn’t be on your list. Some brides or couples dream of inviting “everyone” to their wedding, including distant cousins and grade school friends, but as they plan the wedding this becomes far more challenging than they first realized. So if you haven’t seen that friend or family member in about three years, consider them a possible guest you can drop from your “must invite” list. Now this is a very sticky situation, and there is the chance for hurt feelings. The best tactic to handle this is the truth, and those who care about you will understand. Planning a wedding in today’s time is quite costly, and more couples face this than you might realize. Call each family member or friend personally to explain the situation. Another great solution? Make plans to see them for dinner or something else when you get back from your honeymoon. What matters most to our loved ones is that we spend time with them. Remember that negotiating your guest list with your fiancé is good practice for marriage, a relationship that often involves compromise. Try to meet each other in the middle as often as you can with your negotiations for the guest list. You may have to cut people from the guest list you wanted to invite, and so may he. Or you may have to remove funds from your budget for flowers to pay for a few extra guests that you simply “must” invite. Compromise is the key to a guest list created without tears! 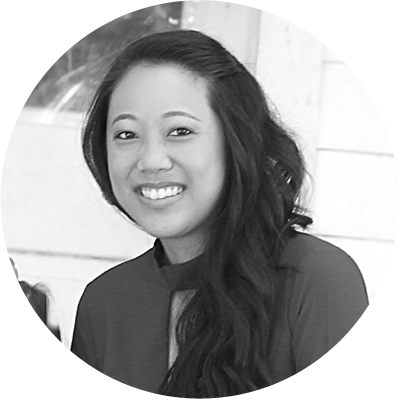 My name is Sheila and I am a graphic designer based in Northeast Florida. In 2009, I started Sheila Mari Design Wedding Studio with the do-it-yourself and budget-conscious brides in mind. My goal is to help engaged couples create beautiful and unique wedding stationery that reflect who they are as a couple. I definitely know that there are plently of minuscule details in wedding planning that need to be tended to. I am here to be that small help that I know many couples need! I offer corporate design services that can help your business thrive. Design services include: logos, business cards, brochures, presentations, signage, product packaging and much more. If you are interested in excelling your company please visit my portfolio for more information and to view my work.